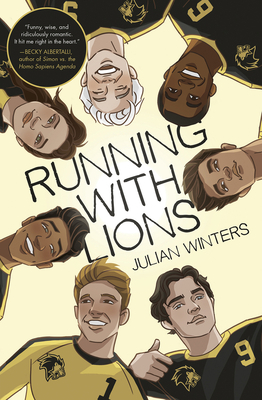 Julian Winters is a former management trainer who lives in the outskirts of Atlanta, Georgia and has been crafting fiction since he was a child, creating communities around his hand-drawn “paper people.” He began writing LGBTQ character-driven stories as a teen and has developed a devoted fan fiction following. When he isn’t writing or using his sense of humor to entertain his young nephews, Julian enjoys reading, experimental cooking in the kitchen, and watching the only sports he can keep up with: volleyball and soccer. Running with Lions is his first novel.